I am fixing some of my steering issues on the 1922 Touring and decided to replace the bushings in my steering bracket that mounts to the frame in the engine bay (Part Number T-9323)Stamped on the top. I was surprised when I pushed out the bushing for the steering bracket, that mine only had a single bushing. The single bushing was the standard size and length but there was only one and only one spot for a bushing in the bracket. 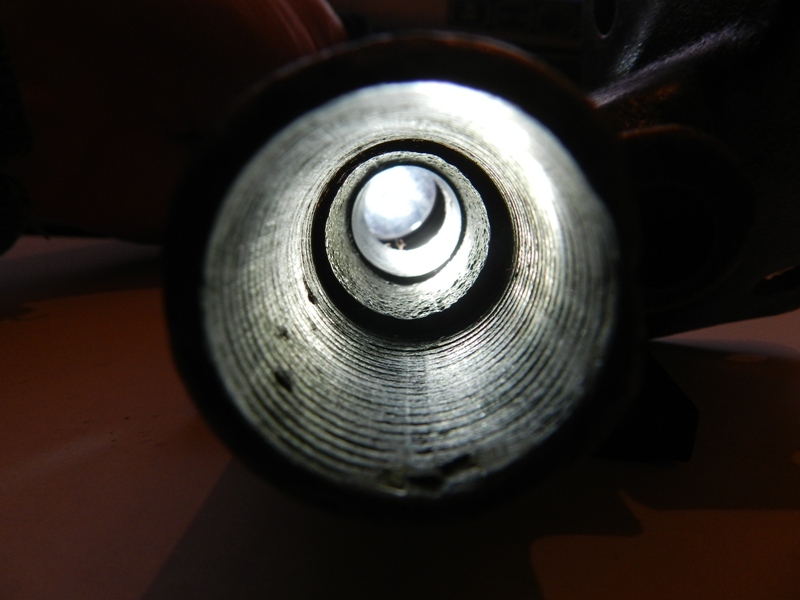 Looking from the bottom where the bushing was I see the machined surface where the bushing fits. Next, it necks in slightly to a ruff cylinder casting and then to a slightly smaller machined surface (Part of the Bracket) with the grease hole drilled out. Last I can see where the felt washer goes. Why does my bracket only have one bushing? I thought they all had two except the early ones that had the single long bushing. Ford's cost cutting, works just as well with only one so why use two. My 21 only has one. Ok sounds about right. I was just expecting two and only had one bushing. Thanks for the conformation. That's the next winter project on my 22 Adam. Thanks for the pics! The actual Factory number for the part is 932B and I think that your part just has an imperfection at the place where the left side of the letter B is. You can notice that the shape of the number 3 in the 932 is different than the shape of the partial letter B. 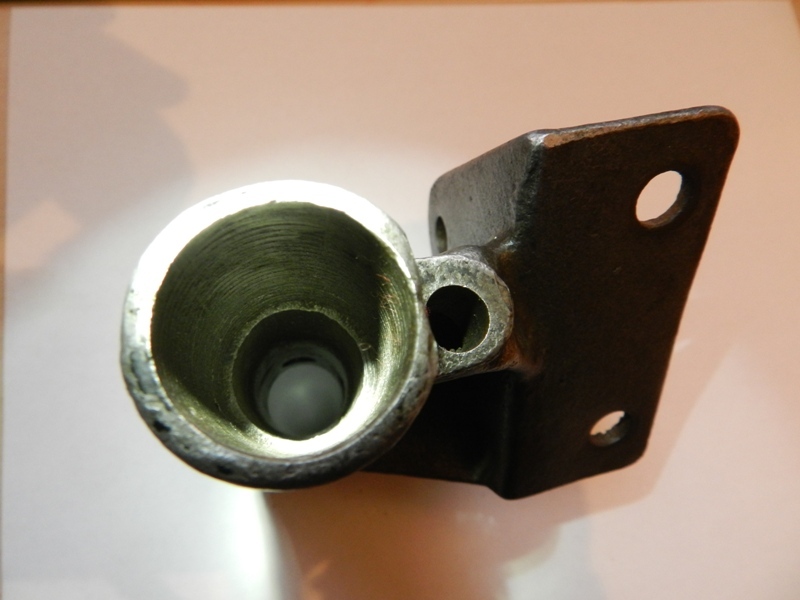 From Lang's catalog regarding steering bracket bushings: "from approx. 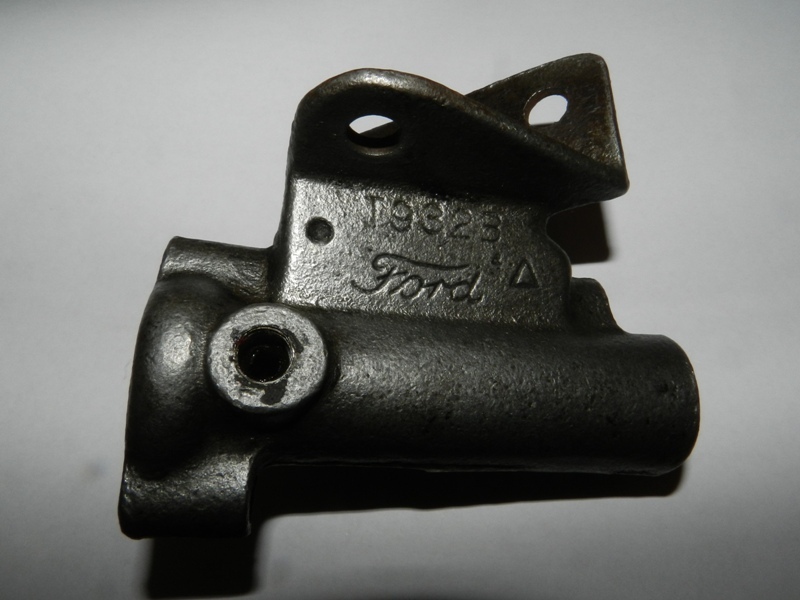 1909 - 21 the brackets used two (bushings) per car, later cars used one". Both of my 25s have just one bushing in the bracket. John, thanks for the part number catch. I can see that now very clearly in the part and in the pictures. That's interesting.